How Stephen the martyr came to join Joseph and Mary, Essenes in Galilee: A study in Xenoglossy. What follows is undeniable evidence that the young man, Stephen, had been born in a village near Ancyra (Ankara) then in the province of Galatia, that he had travelled to Galilee, where he spent a two-year probation or novitiate preparing to join Joseph and Mary in an Essene camp there. The evidence helps us be sure that we are truly hearing from Stephen. We also hear Stephen’s own moving words about his early life. If you have experienced Stephen’s wise and loving spiritual counsel in your heart, or in the pages of Afterlife Teaching from Stephen the Martyr, you will be interested in the Stephen who was alive at the time of Jesus. [April 1975] “Would you know of the times when Stephen was in doubt? When he walked and preached and still he doubted? Of the great fear, and the knowledge of tragedy that was in Stephen’s heart? Or the tears that Stephen shed for himself? of the ambitions, as your own, that were unrealised? Of the terror of death, of the fear of the opinions of others, the ambitions to wealth and fame, of the love of another that Stephen felt? Does this sound unfamiliar to you? This is how it was for Stephen, a young man, spoken of by his elders.. I recall that he was considered untidy, that he showed not the respect for his parents that he might, that he stole as a child foolish things, he gave that which did not belong to him, he taste for music was indifferent, he had many dislikes of the foods that he ate, he would wish for fine horses, but needed to pretend with a mule; he had ambitions of being a great soldier. His awareness after his martyrdom. That is what Stephen said directly, about his childhood, and his life as a young man. He also said that he had been killed just before his 22nd birthday. Those strange Greek words St Stephen spoke to us were part of what seemed to me like a wider and all embracing dream, there, alongside the waking world. From about 1970 I had been experiencing the strangest series of coincidences which were turning my picture of reality upside down. Then on May 21, 1973 a acquaintance delivered a book of prophecies from a woman friend who was unknown to me. Those prophecies largely came true. And I think it was on that very day, on the other side of the world, in Kent, that a London Jew, Thomas Ashman, began speaking Latin in his sleep. And his partner Olive heard it. Although he hadn’t previously been a medium, Tom found that after prayer he was able to fall into trance, and allow Stephen to begin a conversation with Olive. These conversations continued, until a fateful meeting with Olive, now here in New Zealand, in August. She asked me whether I would like to question Stephen. I was of course eager to do so. After they arrived in New Zealand, Olive and one or two friends had been asking Stephen questions over about three months, recording and carefully transcribing what was said. She had showed me the transcripts, and the latest one puzzled me. Firstly it seemed as thoughTom had been spiritually receiving information for himself, then it seemed that it was St Peter speaking through Tom in trance, but then suddenly the communicator appeared to be St Stephen. I had previously been receiving accurate intuitions, and what I received in this case indicated “Not St Peter”. So when I first had the opportunity to talk with Stephen through the entranced Tom, I challenged him about what had apparently been happening. It was of course a strange way to begin a relatioship with him, but it led to our discussing how to separate gold from the dross in what comes from the world of Spirit. How was it that Stephen spoke in English? Stephen said that he knew no English, but was using the words already in Tom’s mind to express his meaning. That was puzzling because Stephen seemed such a very different person from Tom. In April next year I discussed with Tom the possibility of addressing Stephen in German, to bypass Tom’s mind, so to speak. I think Tom was a little hurt that I seemed confused about what was going on. But the days that followed were occupied with Tom and Olive preparing for their wedding, which took place in a registry office on the 13th May, 1974 . After the ceremony they had a party, where much was eaten and drunk, stories from England’s war-time Royal Air Force were exchanged, which were often somewhat ribald. A two year old boy was present, who was permitted to take a sip of wine. I could see it was the kind of Greek I was familiar with, of the 1st century C.E. and described as “Koine Greek”, based on “the Attic Greek dialect that underwent [an adjustment] process when it came into contact with other Greek dialects spoken in the Athenian seaport Piraeus, and ultimately became the lingua franca of the Hellenistic world.”[Wikipedia article] It was the kind of Greek that I had learned in my theological studies at Oxford. On hearing this, the group thought perhaps we were being told off for behaving like drunken Celts, and that the two year old should have have been given diluted grape juice. That was plausible: but why the reference to the Athenian grape-juice festival, the Lenes? And why “Zelai”, a word from the local language of Thrace, meaning “wine”? Thracian was never a written language, and the only reason why anyone would know about the word, is that in 600 BCE a Greek grammarian made a list of 24 Thracian words, “zelai”[=wine] being one of them. Anyone using the word “zelai” would have had to come from Thrace or be thoroughly familiar with its culture. And there was another thing: the endings of some of the words were different from the “proper” ones of Athens. I was a bit bothered by this at the time. But twenty years later I got hold of an obscure grammar of Greek dialects, and found that the “wrong” endings were the “right” ones for Thrace. So we could be certain Stephen was speaking in the Thracian Greek dialect because of (1) the Thracian word endings, (2) “zelai=wine” from the local Thracian language (3) and then there was that reference to “Celt”. Why “Celt”? Had Thrace been dominated by Celts way back in the first century? Research showed that it had indeed. When we talked to Stephen about the Greek, he did agree that he had spoken the Thracian Greek dialect, but said that he had actually been born in a village called Seletar, across the river from Ancyra, (now Ankara, in modern Turkey.) I asked him the meaning of the word “Seletar” and he said it meant “Fourth landing place”. Definitions in my Greek lexicon supported that translation. 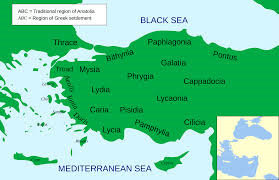 His home town Ancyra was in Galatia which was named for the immigrant Celts/Gauls from Thrace, who had settled there and become its ruling caste in the 3rd century BC, following the Gallic invasion of the Balkans in 279 BC. That is why they spoke that Thracian version of the Greek. 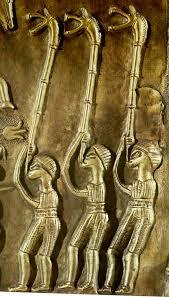 It seems that Celts and Jews together formed the ruling caste. If we have read his story in The Acts of the Apostles we can see that Stephen had been highly educated, endowed with many gifts of the Spirit. He didn’t say whether he was a Gentile (non-Jew) convert to Judaism, or was a Jew living in a Celtic area. 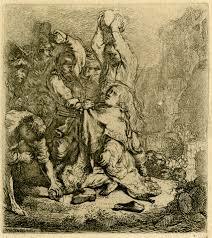 For whatever reason he must at some stage have made the long journey from Galatian Ancyra, I think first to Galilee in the north of Palestine, then later as a follower of Jesus to Jerusalem, where he was stoned to death , and thus became the first Christian martyr. Had I understood those Greek words properly? In ancient times the gods were active participants in the spiritual and social lives of most people. The gods beckoned the soul to hidden mysteries. 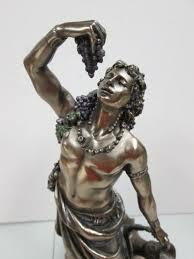 In Thrace Dionysus had been called Sabazios. He was a horseman god, sky father, fighting the evil dragon. In Thracian mysteries, Dionysus wears the bassaris or fox-skin, symbolizing a new life. In Athens he was the last god to be accepted into Mt. Olympus. He was the youngest and the only one to have a mortal mother. His festivals were the driving force behind the develop-ment of Greek theatre. He is an example of a dying god. Dionysus is represented by city religions as the protector of those who do not belong to conventional society and thus symbolizes everything which is chaotic, dangerous and unexpected, everything which escapes human reason and which can only be attributed to the unforeseeable action of the gods. Dionysus was also known as Eleutherios (“the liberator”), whose wine, music and ecstatic dance frees his followers from self-conscious fear and care, and subverts the oppressive restraints of the powerful. Those who partake of his mysteries are possessed and empowered by the god himself. His cult is also a “cult of the souls”. We cannot know the mind of Stephen with regard to Dionysus. He would probably have been aware of all this and more, but how real it was for him, and how much felt, cannot be known. But these were no ho-hum stories told to children. They were at the heart of Greek culture. Mella diesta did mean “should be diluted”. “For the Celt, indeed, two years having passed, for this Celt, this grape juice, as the sacred wine of the Dionysian grape juice festival of Athens, can now be diluted with water.” Yes… but why and what on Earth?.. Why would anyone say that? 2.	that Joseph, the husband of Mary, had heard these words. 3.	that both of them, and Stephen also, had been Essenes. Joseph and Mary would probably have lived in Essene camps in Galilee. Obviously then, we have to try to understand the words in the context of Essenism. 2. 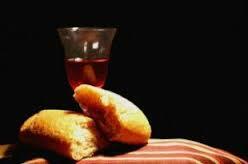 Admission to the Essenes was through participating in a kind of communion service, in which grape juice was diluted. Thus Stephen’s Greek, put together with information from the Dead Sea Scrolls, seems to make clear sense. For further study, do read the last chapter of Afterlife Teachings from Stephen the Martyr. 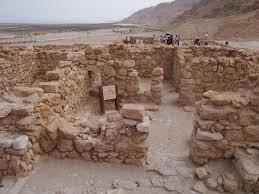 You will find interesting implications about the origins of Christianity. You will find that the Essenes expected a Messiah to come from their own ranks, that they celebrated Messianic Communion services with an empty seat for the Messiah. Let us picture the scene, when Stephen had spoken those Greek words. We are in a camp not too far from the Sea of Galilee, amongst those Essenes who were married and raised families. They have trades, and various normal occupations. They are living in tents, and have most possessions in common. They are poor, and keep apart from non-Essenes. Not accepting the Temple of Jerusalem, and its sacrifices as the centre of national cult of God, was sufficient pretext for one to be stoned, or crucified. It is also suggests that one is an Essene. The purpose of this essay is to show Stephen as a human being, present from the very beginning of Christianity up there in Galilee. Stephen gave us a picture of the himself as a child and as a young man, with hopes and fears we can so easily understand. It would well be said that the teaching that Stephen gave over the years is the most important thing. But I would like to present his spirit whom I love so much, and whose teaching has been so much part of my life, as the living human being that might have been known when incarnate in ancient times. I hope it will inspire others to explore his teachings, as contained in Afterlife Teaching from Stephen the Martyr and accept his wise, commonsense and loving counsel. I have had only one contact that purported to come from this Stephen. It was a wonderful experience and I have longed for more, but it never happened again. Perhaps that is because he no longer “puts on the clothes” of that personality except on very rare occasions. It’s such a lovely personality, we can easily wish that he would revive it now and again for us. Excellent info about St. Stephen and the life of his times. Thank you so much!! !